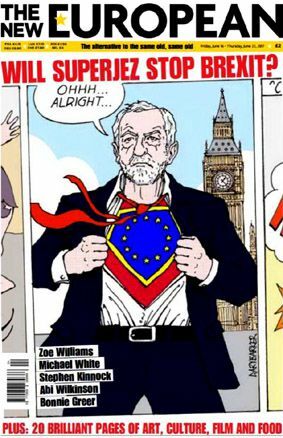 Jeremy Corbyn is the unlikely brexit stopper. For decades he has been highly critical of the EU and argued against the UK's continued membership. But now people recognise that with a Tory party now so divided and apparently run by brexit junkies the only option the remainers have to put their hopes in is Labour and its leader. But March 2019 is fast approaching and the Tories are no closer to creating any meaningful developments nor even a cohesive strategy to first take us out of the EU and secondly what a post-brexit UK will look like. The suspicions being all their findings are for a very negative effect post-brexit Britain but they cannot afford for this truth to get out. Thus why MPs from all the parties have been allowed to see the government's post-brexit forecasts, but they have been sworn to secrecy on its content. While the rest of us are left to fret and make meaningless predictions of life after brexit. If they get this wrong the best we can hope for is decades of recession.